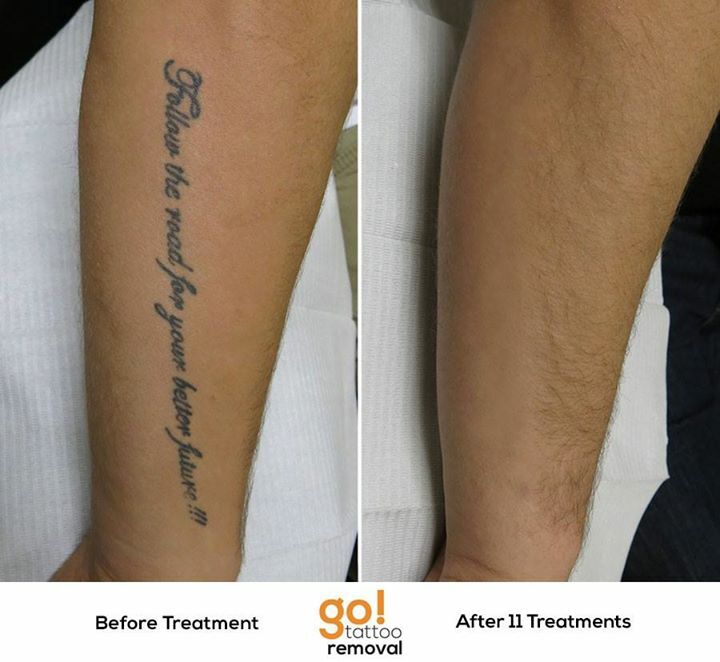 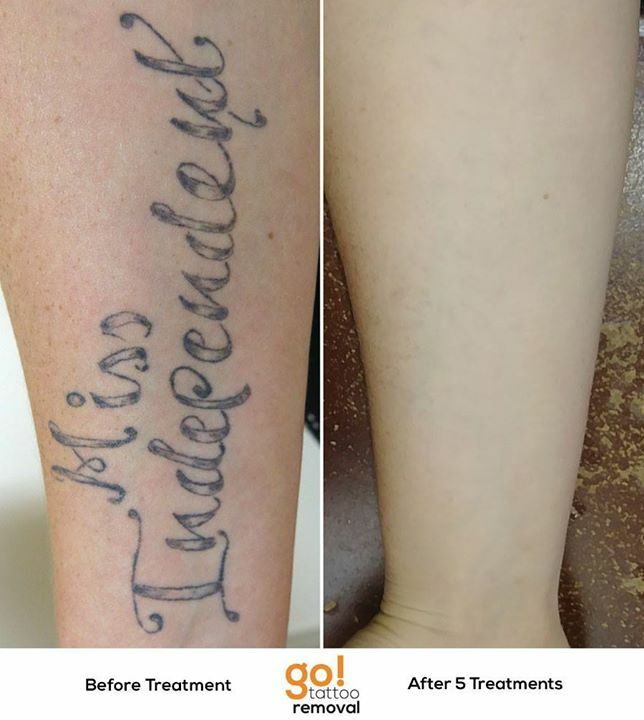 To remove a tattoo usually takes an average of 10-12 laser tattoo removal treatments spread out over roughly a 3 year period of time. 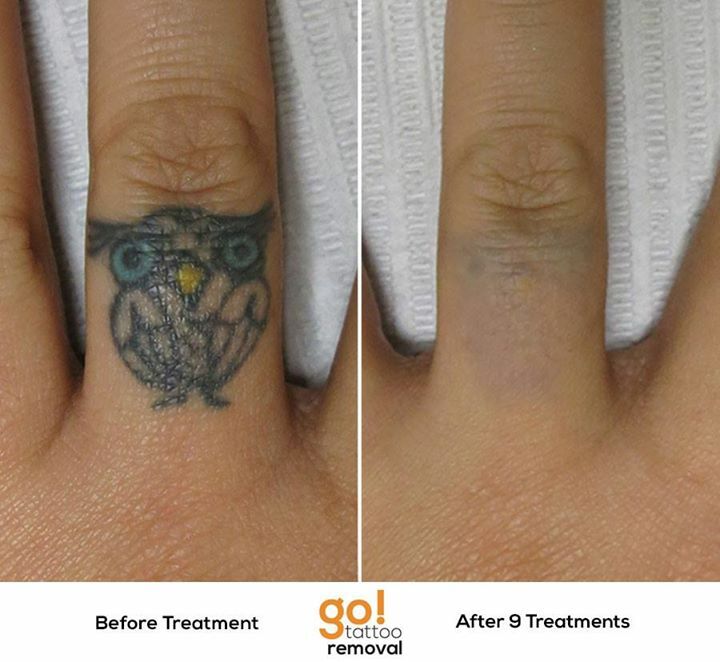 Not every tattoo on every client will be a candidate for full removal and this is discussed fully during an initial consultation. 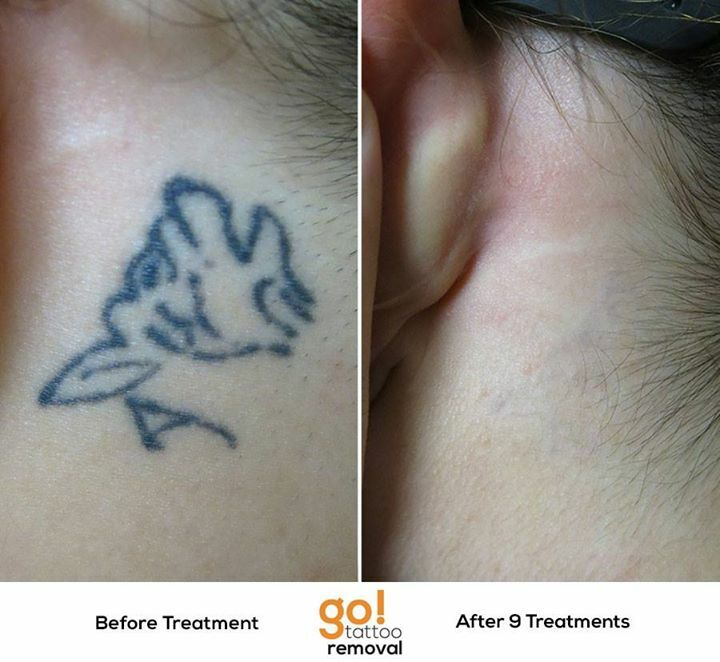 Sometimes a few less treatments are needed, sometimes a few more will be needed. 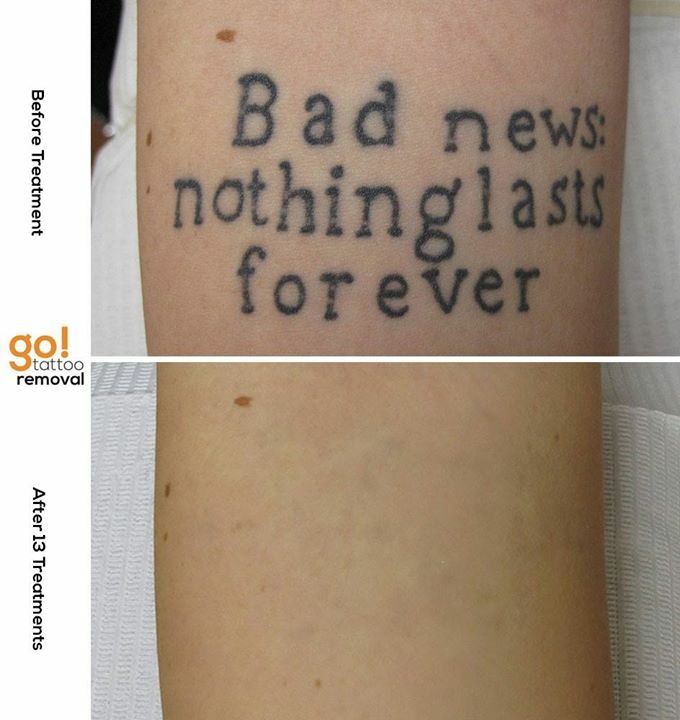 100% removal isn’t always possible, either, but in many cases we can achieve close to that. 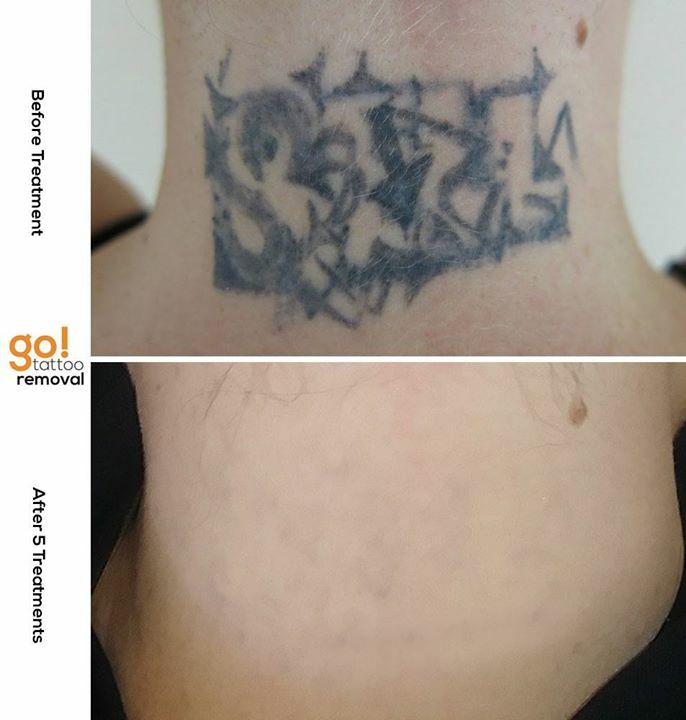 Faint amounts of pigment may still remain after, this is referred to as ghosting and is usually acceptable for most clients. 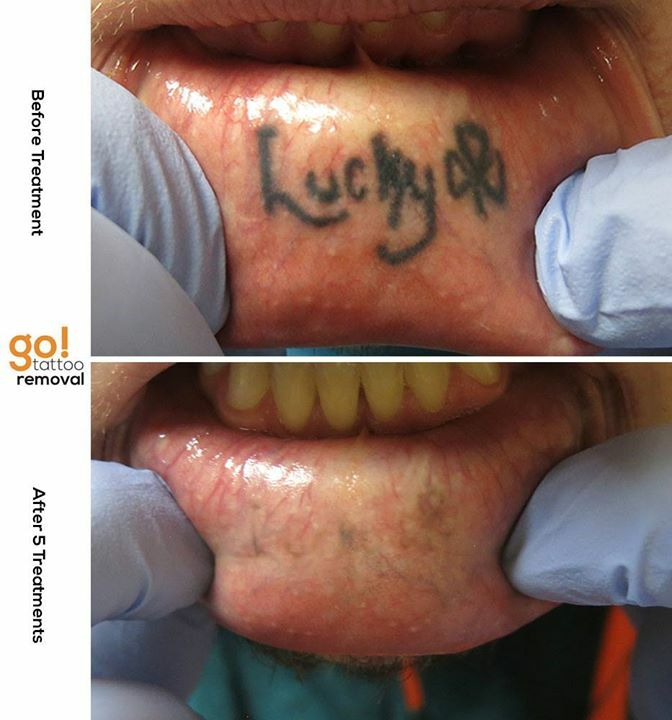 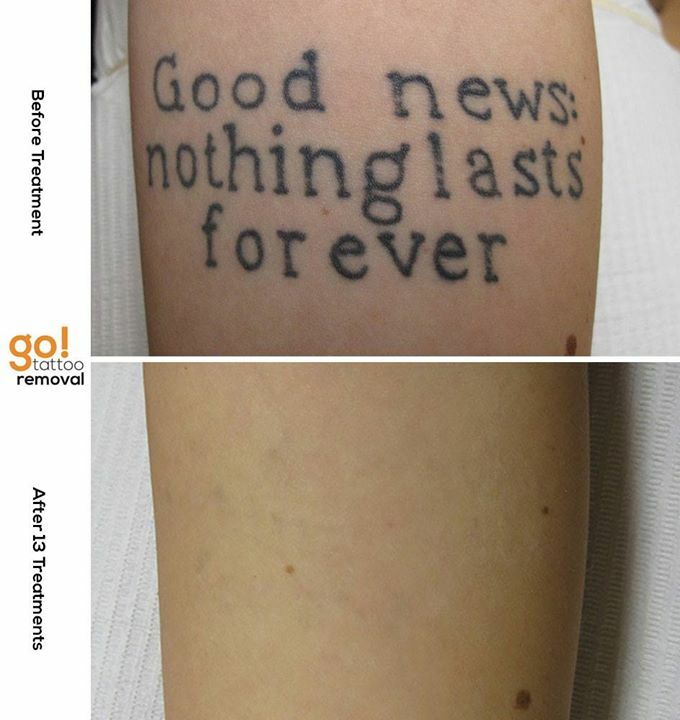 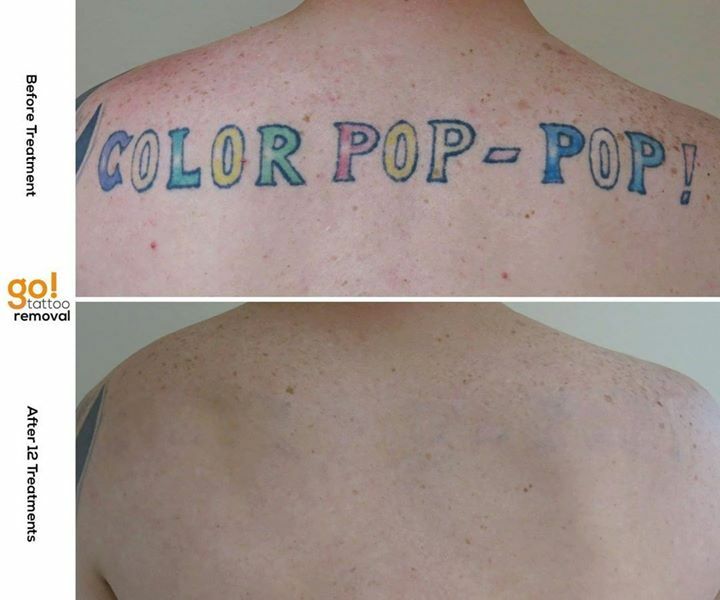 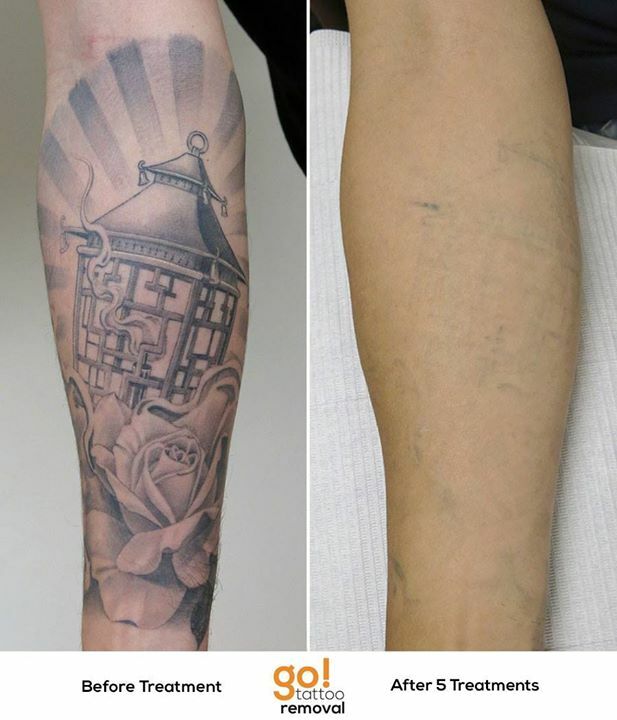 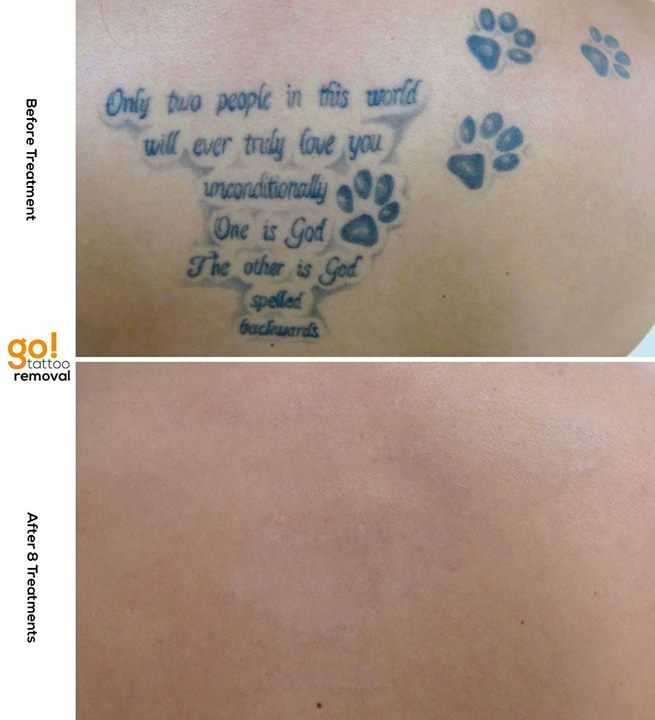 We share these images to help better explain the entire tattoo removal experience.